Channel 4 have released the trailer for the feature-length edition of Charlie Brooker's Black Mirror. 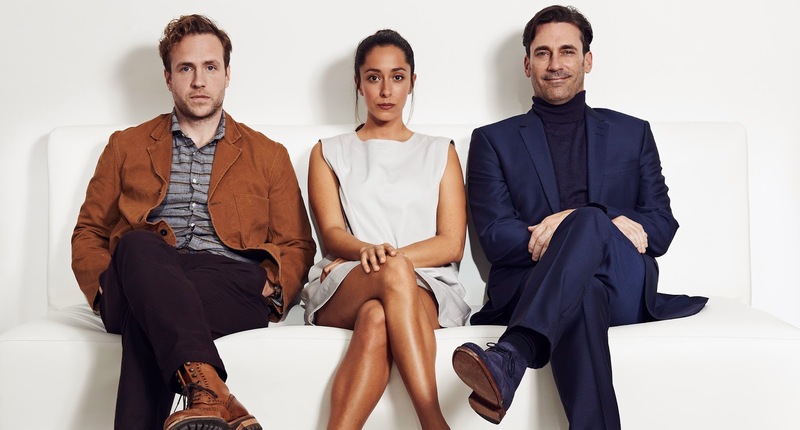 The episode entitled White Christmas stars Jon Hamm, Oona Chaplin and Rafe Spall and will air on Tuesday 16th December at 9.00pm. In a mysterious and remote snowy outpost, Matt (Hamm) and Potter (Spall), share a Christmas meal together, swapping creepy tales of their earlier lives in the outside world. Matt is a charismatic American trying to bring the reserved, secretive Potter out of his shell. But are both men who they appear to be? Along the way we see Jon Hamm offering an unusual form of romantic guidance to an inexperienced young man, watch Oona Chaplin thrust headlong into a nightmarish world of 'smart' gadgetry, and explore what might happen if you could 'block' people in real life, just as you can on Facebook or Twitter. All three stories are bound together into a suitably unsettling whole.